I have to admit I never played this game in an arcade until well after I got it with my first genesis. As simple as it was on the genesis there was still something extremely different about it. Yeah is was a basic side scrolling fight the never ending army of repetition coming at you. And yeah there were power-ups. But it had this little story line to it. And the characters were larger and more detailed. This was standard by the time it came out on the genesis. But hey, this is in the arcade section and not the console section. Do you know what that means boys and girls? ( I have always wanted to say that :) Take a look at these pics. Thanks to the magic of web page statistics I can see where most of you visitors are coming from and why you are here. I hope you don't go away too disappointed. 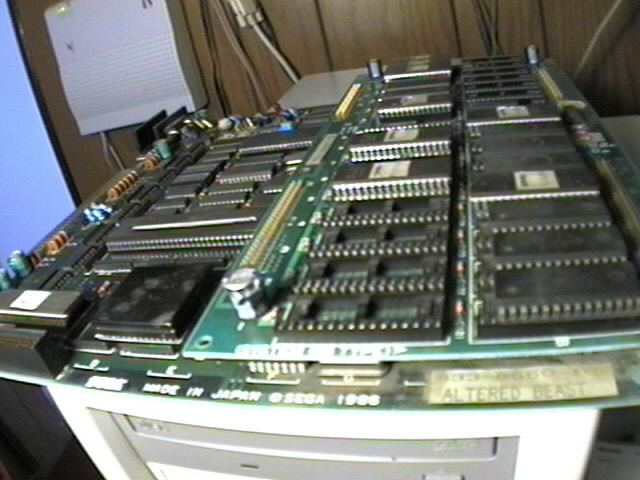 As you can see by the pictures I do own an Altered Beast ROM set. 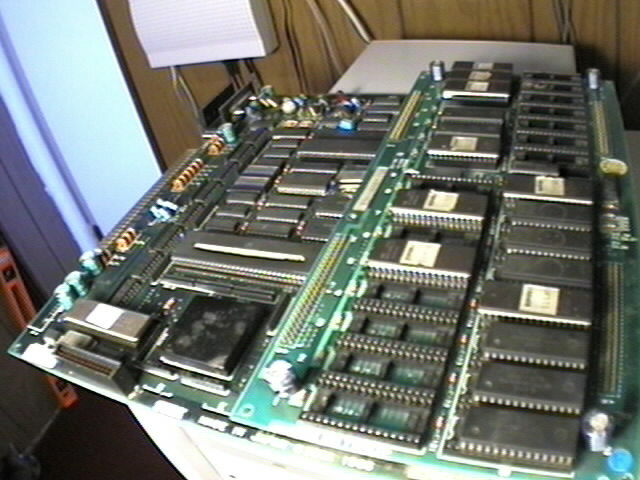 And I do have the Altered Beast ROM's to use with MAME. You know copyrights are touchy subjects when it comes to ROM's so unfortunately I can't put them on my web page. So I fired up my trusty search engine link and tried to see how long it would take me to find the Altered Beast ROM set. Being in the Information Technology business has taught me a few things. That and an actual 6 week course in search engine technology and information retrieval. :) As the saying goes, seek and you shall find. 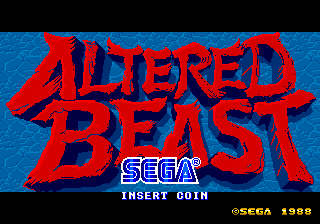 Searching for "Altered Beast" MAME ROM turns up so many dead links. And the wonderful www.mame.dk where all the ROMS used to be is now gone. But the trick is to take information returned in a search and modify your search. In this case you see the name of the file you are looking for is altbeast.zip and if you enter that and search my friends you may find what you are looking for. Email me and I will offer whatever assistance I can. Please note I will NOT provide any files whatsoever. No ROM's. No ISO's. No Warez. No Philez. Nothing even remotely potentially not legal.